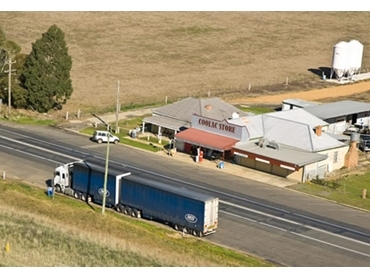 Coolac Store has been servicing farmers and their families since 1895, providing them with a comprehensive range of rural supplies which include fertilisers, troughs, tanks and water fittings, animal feeds, fencing materials and general hardware. Currently Coolac Store also provides agronomy services through an alliance with Rural Management Strategies, company specialising in providing planning, diagnostic and management advice to mixed farming operations in Southern NSW. Development of detailed cropping and pasture programs comprising of species, varieties, fertiliser strategies, weed and disease control strategies as well as input requirements and costings. Formulation of a rotation plan that ensures stability, sustainability and the right balance of crop and pasture to meet the requirement of farm businesses. On-farm advice and clients assistance in selecting the most economic chemical and fertiliser application programs during the cropping season.